Welcome to Rancho Bernardo Endodontics, an endodontic specialty practice dedicated to the highest standard of care for our patients. 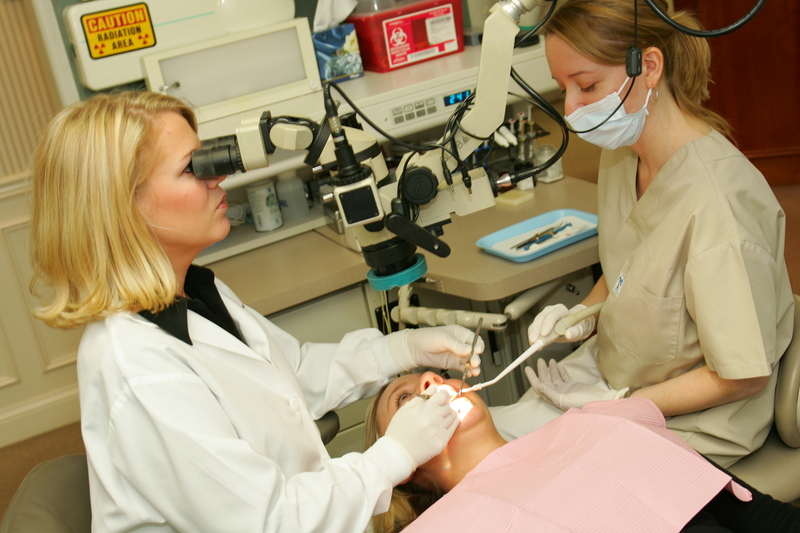 Our endodontists & our staff have exceptional training. We are proficient & knowledgeable in all areas of our specialty. The office is a state-of-the-art facility, constantly being updated with the latest technological equipment. However, what has set us apart from other offices is our devotion to compassionate patient care. We treat each patient with a gentle touch & kind heart. Surgical microscopes have become standard equipment in endodontics, and we utilize this invaluable adjunct to insure a more thorough and successful result. There are cases that would have almost certainly required extraction just a few years ago and now can be salvaged by the benefits of the magnification and illumination the microscope provides. Benefits of using a surgical microscope are removing separated instruments, locating missed or blocked canals, and visualizing and determining the extent of cracks or fractures. In addition, images can be captured through the microscope and viewed for better understanding. We also utilize digital radiography not only for the high reduction in X-ray exposure but for the benefits it provides for explanations. A large radiographic image, when seen on the computer monitor, becomes an invaluable aid in communication. Digital radiography is similar to conventional X-rays. Digital radiography allows endodontists to detect decay, bone loss, and help with root canals. To take an image, endodontists will place a sensor on the tooth. The process is a little faster than conventional radiographic film, so your exposure to radiation is significantly lower. Once the picture is taken, endotontists can adjust the contrast and brightness to optimize diagnosis. Another benefit of digital radiography is the reduction of chemicals to process the film. The time to develop photos is reduced and can eliminate treatment disruptions. Because digital imaging significantly reduces the amount of radiation you are exposed to, and because we subscribe to the ALARA Principle (As Low As Reasonably Achievable), we utilize ONLY digital radiography in our practice. Our Carestream 9000 3D High Resolution Cone Beam Computed Tomography takes digital radiography into the third dimension! 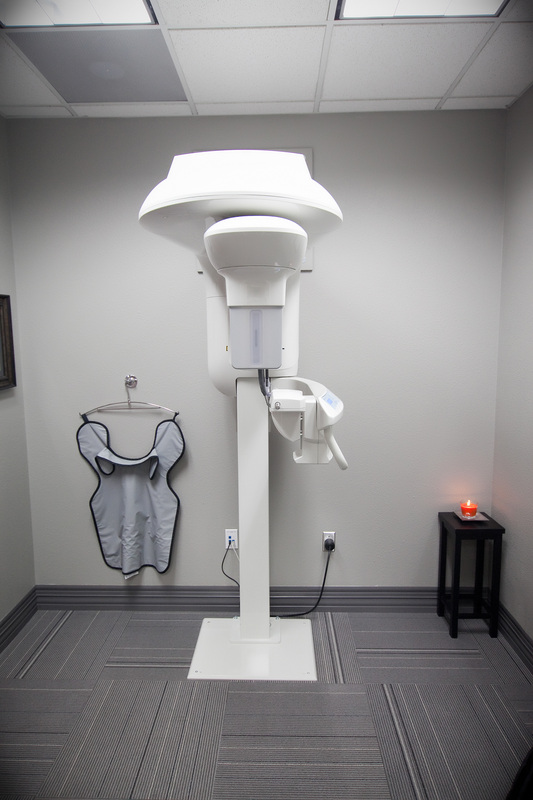 It is an extraoral imaging system (no sensor is placed in your mouth; instead, the machine rotates around you) that aids in the diagnosis and treatment of complex endodontic cases. If yours is a complex case, we will recommend this new type of imaging because it allows three-dimensional assessment of oral lesions, canal morphology, retreatment cases, root fractures, implant placement locations, etc. And, in keeping with the ALARA, the 9000 system focuses only on the area in need of diagnosis which means the amount of radiation exposure is significantly reduced—more than 100 times less radiation than a medical CT scan. 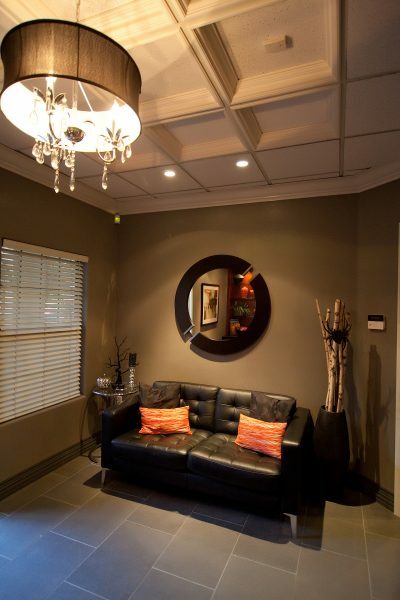 At Rancho Bernardo Endodontics, we pride ourselves on creating an inviting and soothing environment with modern styling, purposely designed to make the patient experience as welcoming as possible. 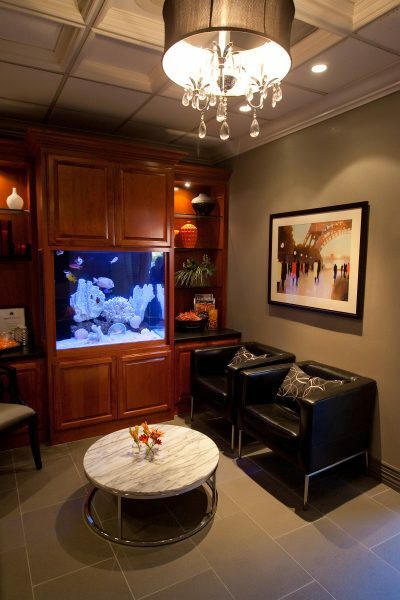 You are welcomed to a reception area that presents a comfortable living room setting with a large marine aquarium for idle viewing. Our staff is trained and dedicated to ensure that your experience begins the moment you arrive and we seek to respect your time and resources while making you relaxed. When welcomed into the procedure area, you will find fully equipped stations providing everything that your endodontist needs to complete your appointment as speedily as possible. Additionally, we seek to provide as many creature comforts as is reasonably available such as viewing television and listening to music to make your experience as pleasing as can be. Our office is open Monday through Friday from 8am to 5pm. We will schedule your appointment as promptly and conveniently as possible. If you are in discomfort or have a dental emergency, we will make every attempt possible to see you the same day you call. We strive to stay on schedule to minimize your wait time. Due to the fact that we provide emergency services, various circumstances may make some appointments longer than others. Emergency cases may also cause delays. We appreciate your patience and understanding. Please call (858) 676-6709 if you have any questions or would like to schedule an appointment. Prior to our starting treatment, we will provide you with an estimate of the cost of the procedure to be performed. We deliver the finest care at the most reasonable cost to our patients; therefore payment is due the day services are rendered. We require payment in full if there is not secondary insurance involved. We accept cash, checks, MasterCard, Visa, American Express, and Discover. We also offer financing through CareCredit. For more information about CareCredit please click here. For specific questions on billing or financing, please contact us at (858) 676-6709 or office@rbendodontics.com. If insurance is involved and you are covered in this office, we will need to collect half of our fee that day of service. This is regardless of what your insurance company states as their coverage of endodontic care. If the benefits you expect are greater than the 50% collected, then a refund will be made to you by this office as soon as we receive payment from your insurance company. Rancho Bernardo Endodontics office is not responsible for what an insurance policy does or does not cover. If you have insurance, you may be familiar with the term “usual and customary” or “allowed amounts” when referring to fees. Fee structures are often set by insurance companies that are not related in any way to the fees set in this office. They are a part of the policy provided to you and are to maximize the profits of your insurance company. There is a great deal of variance of these fees between insurance companies even within the same geographic area. Our fees are competitive for this region and represent the quality of care we offer. If you have questions regarding this matter please feel free to ask. We will do our best to clarify this issue. If complete and accurate insurance information is provided, we will be happy to file a claim for you. Should you choose to file a claim on your own, we will supply you with all the information necessary to do so.